"a very good instructing solicitor' and a 'sensible', 'considerate', and 'an independent-thinking team player'." Louise advises on a wide range of commercial litigation and insolvency matters; specialising in professional negligence claims, contractual disputes, pensions litigation, corporate governance and directors’ duties. Louise acts for a broad range of clients and pension funds in respect of negligence claims against their advisers – dealing in particular with solicitors, actuarial and investment claims. She also deals with wide ranging and complex contractual disputes, including supply and distribution agreements, software licence and development agreements and commercial agents. Louise also has particular experience of dealing with cases involving complex investment schemes, tax planning schemes, carbon credits and land banking. Louise provides advice both pre and post action and on dispute resolution methods, including mediation and without prejudice discussions. She has significant court and trial experience and has acted on a number of leading and reported cases, in particular, within the directors’ disqualification and insolvency sphere. At the heart of Louise’s advice is obtaining the best, solutions-focussed results for her clients in the most time and cost-efficient manner. Louise is listed as a Recommended Lawyer in the Legal 500 (2019 Edition). Louise is an expert in acting for both Claimants and Defendants in professional negligence disputes, across a wide range of professions and for claims seeking damages up to £400 million. Acting for Philips Electronics and Philips Pension Trustees in bringing £300 million claims against Aon Hewitt and AllianceBernstein for the negligent design and implementation of the pension fund’s investment strategy in 2007. The claim follows on from an earlier claim for £100 million, which Louise acted on against Hewitt in relation to actuarial negligence, which settled successfully following a second mediation. Advising a large pension fund in respect of claims for losses suffered as a result of securities lending managed by their custodian, for failing to identify risks associated with the investments, failing to comply with investment policy guidelines, resulting in a significant over exposure to mortgage backed securities, and suspending redemptions. Advising a pension fund and sponsoring employer in respect of negligence claims against their solicitors and actuaries in relation to changes to the Fund’s benefit structure. Acting for a property development company in relation to its claim against its solicitors for failure to complete a property transaction, leading to a loss of chance claim in respect of the development opportunity. Defending a licensed conveyancer in respect of a claim brought against him for allegedly negligent advice in respect of a share sale. Advising an individual in a multimillion pound claim against his previous solicitors for advice in respect of the enforceability of restrictive covenants; and advising an individual and a company in respect of their claim against their solicitors for professional negligence, which resulted in the individual and company losing the opportunity to develop and manage a leading, and highly lucrative, car dealership. Advising a pension fund and sponsoring employer in respect of the assignment of claims for professional negligence against their advisers, as part of a wider buy-out transaction of the pension benefits. 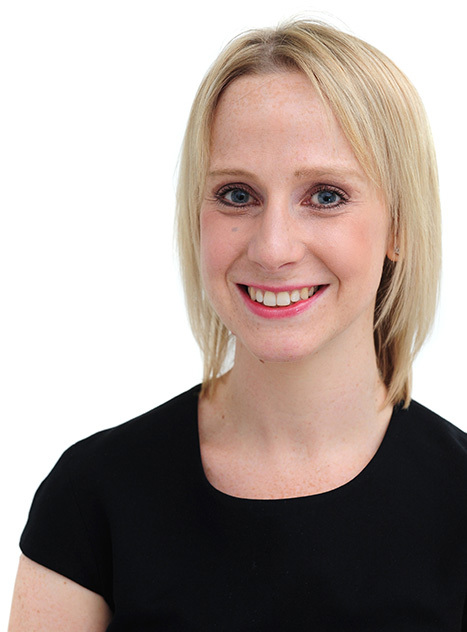 Louise has a wealth of advising commercial clients and individuals on a broad range of contractual issues, including pre-action advice, commercial negotiations and dealing with formal legal proceedings. She also has expertise in advising on software issues, both in respect of the development agreements and licensing disputes. Advising in respect of companies’ obligations under the Commercial Agents Regulations (including advice on how to mitigate the effects of the Regulations and reducing the principals’ overall exposure). Advising a nationwide builders’ merchant in respect of their obligations pursuant to a contract with an outsourcing provider. Acting for a distributor in respect of its dispute for unlawful termination of the supplier agreement with its German supplier. Advising various commercial clients in respect of software licensing claims brought for alleged under-licensing and also in respect of breaches of development contracts by software developers. Louise has acted for the Department for Business, Energy & Industrial Strategy (and its various predecessors) for over 12 years in investigating and pursuing directors’ disqualification proceedings and winding up live companies in the public interest. Louise is an expert in advising on disqualification proceedings and duties of directors. Acting on the leading and reported case of Instant Access Properties Limited, an application under the Company Directors Disqualification Act, for permission to issue proceedings outside of the two-year limitation period. Acting in the leading case of Mea Corporation Limited, which involved a detailed examination of what is required to prove de facto/shadow directorship. Acting for the Official Receiver in obtaining section 236 Insolvency Act orders for production of documents in order to trace pension monies which had been transferred out of a pension fund, including the leading judgment dealing with the extra-territorial effect of section 236, Omni Trustees Limited. Advising a number of liquidators and devising a process in order to recover carbon credits which have been mis-sold to investors and which are held under various complex trust structures, and advising on action against the directors of the companies. Throughout her career, Louise has acted in a number of significant and high profile pensions litigation cases, advising in respect of the duties owed to Pension funds and sponsoring employers by actuaries and solicitors and advising on the assignment of claims during a scheme buy out. Louise has acted for the Department for Business, Energy & Industrial Strategy (and its various predecessors) for over 12 years in investigating and pursuing directors’ disqualification proceedings and winding up live companies in the public interest. She has particular experience of dealing with cases involving complex investment schemes, tax planning schemes, carbon credits and land banking.